In a society where appearance plays an increasingly important role, cellulite is a major beauty problem responsible for the development of emotional and psychological imbalance in 80% of women worldwide. Exclusively produced by Bionov, SOD B Dimpless® is a natural source of melon bioactive SuperOxide Dismutase (SOD, 12,000 IU/g) clinically proven to reduce visible cellulite on thighs after 28 days of oral supplementation. SOD B Dimpless® is the only active ingredient with a scientific demonstrated synergistic action against both collagen fibers fibrosis and fat cells hypertrophy, known as the two main causes of cellulite development. SOD B Dimpless® efficacy has been assessed in a double-blind randomized placebo controlled clinical study, performed on 41 women (31-50 years old) under dermatological control. 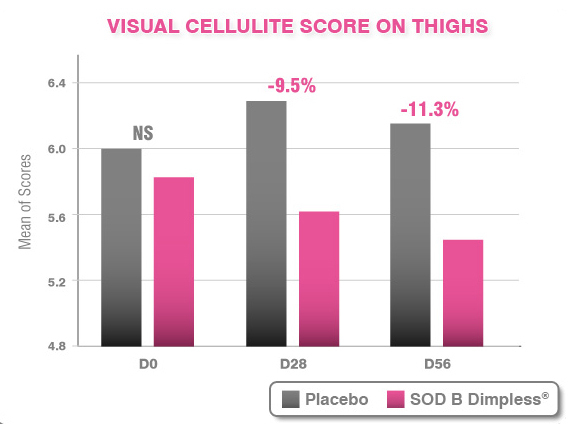 SOD B Dimpless® induces a significant visual reduction of cellulite on thighs by 9.5 % and 11.3 % compared to the placebo, respectively after 28 and 56 days of oral supplementation at 40 mg/day (480 IU SOD). 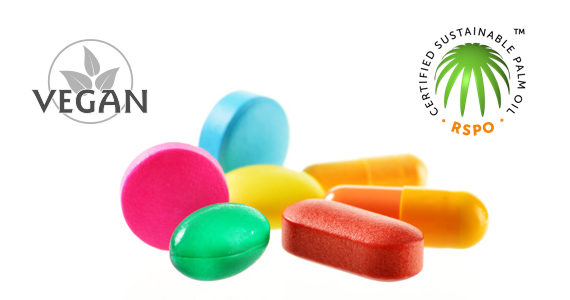 This visible improvement was observed in 71% of supplemented women. SOD B Dimpless® is the only active ingredient scientifically demonstrated to act both against fibrosis of collagen fibers, and fat cells hypertrophy, which are the two main causes of cellulite appearance. SOD B Dimpless® limits the pressure exerted by adipocytes on the dermis, and improves microcirculation. 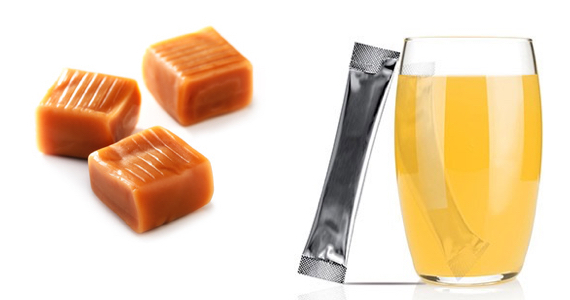 Both animal and mechanistic studies have confirmed the capacity of SOD B Dimpless® to correct fat cells hypertrophy. Highly guaranteed in SuperOxide Dismutase, well-known for its anti-fibrotic properties demonstrated in more than 100 publications, SOD B Dimpless® is the only active ingredient which targets specifically severe fibrotic cellulite on thighs, allowing to restore skin elasticity. SOD B Dimpless® is available with two specific coatings and is suitable for the formulation of numerous nutritional applications. Based on its high SOD activity (12,000 IU SOD/g), SOD B Dimpless® is efficient at low recommended dosage allowing its easy incorporation into formulations.